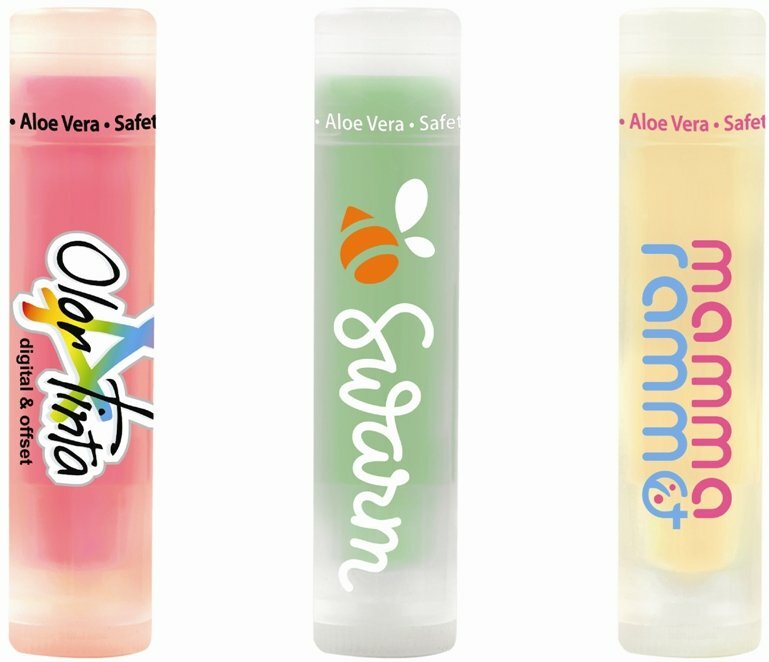 Get happy with your logo custom 4CP Printed on SPF 15 Translucent Stick Lip Balm. Applications include advertising, marketing, giveaways, gifts and promotion. & corresponding translucent colors, see link below. Overall stick size is 2 1/8 wide x 5/8 diameter.